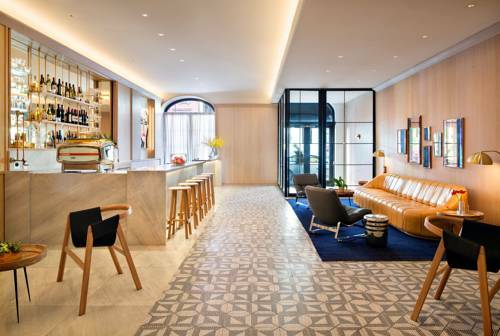 Let the destination reach you at the GEM Hotel Chelsea, an Ascend Hotel Collection Member just walking distance to Penn Station. This smoke-free hotel is located near destinations like Times Square, The Empire State Building, Madison Square Garden, Macys Herald Square and Grand Central Station. Enjoy amenities like free WiFi, copy and fax services, fitness center and our coffee, wine and beer bar located in the lobby. Rooms come equipped with a flat-screen TV, pillow-top mattress, safe, desk, coffee maker and hair dryer. Earn rewards with every stay with our Choice Privileges Rewards program.